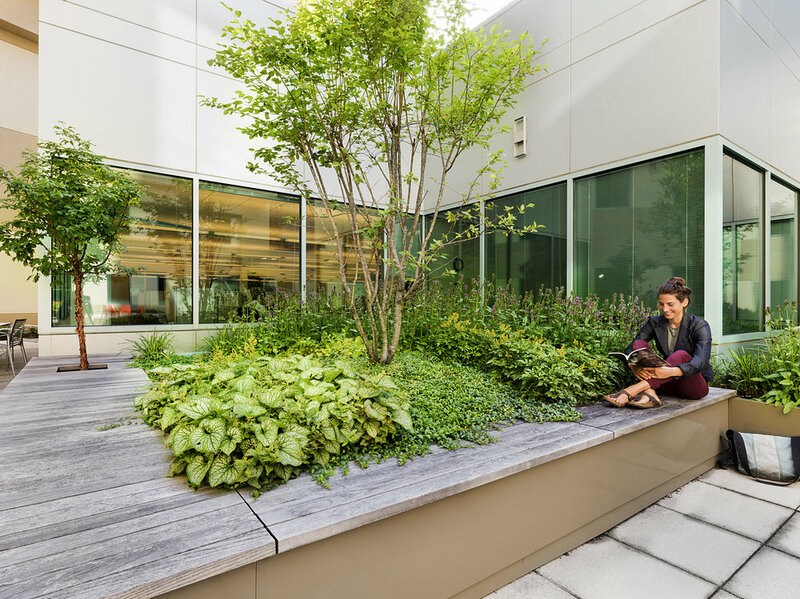 The green roof at Lafayette City Center creates a visual focus and break out social space for the surrounding offices. 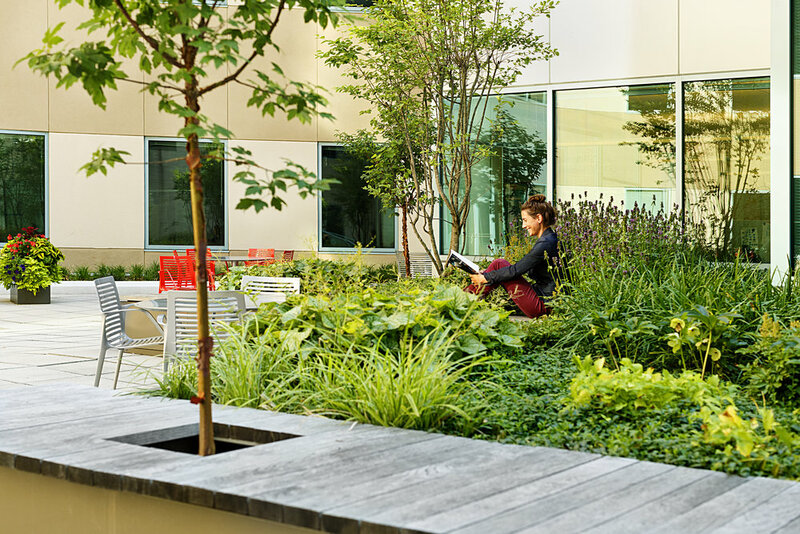 Located on the 3rd level of a centrally located downtown building, and surrounded by offices on all sides, the landscape scope was the enhancement of an existing 7500 ft. outdoor courtyard. The new design creates a thickly planted “zig-zag” shaped metal planter that generates a lush privacy buffer for the spaces that look out on the terrace. Wooden benches of varying width provide opportunities for causal lounging. The plant palette includes a mix of flowering perennials and evergreen groundcovers and ferns. Multi-stem amelanchier trees add scale and seasonality. The character and construction strategy of the landscape was developed in coordination with the interior designer and green roof contractor in order that the project could be efficiently constructed on the roof of an existing building.